Description Located at the intersection of Living Arts Drive and Burnhamthorpe Road in Mississauga, Ontario, Welcome to Ultra Ovation at 330 Burnhamthorpe Road, by Tridel. This 32-floor tower was built in 2009. The building shares an entrance with Grand Ovation (310 Burnhamthorpe Road) and boasts a grand lobby. The amenities are plentiful and the location is splendid. These amazingly luxurious Ovation condos in downtown Square One Mississauga offer spectacular living. Built by Tridel, the Ovation condos are located right across from Celebration Square putting you steps away from everything the city has to offer. As you approach the lavish, hotel inspired entrance, accompanied with waterfalls, you immediately know this is something special. The huge, modern, luxurious, two story foyer lobby instantly welcomes you into a life of grandeur at the Ovation condos. 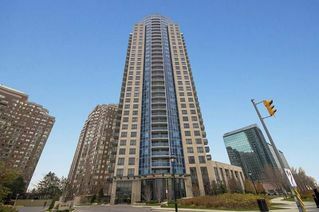 Easily one of the most luxurious Square One condos in downtown Mississauga. This means pets are not allowed based on specific rules set out by the Ovation condos management corporation. Unlimited daytime visitor parking available. Sign in through the Front Desk Concierge. Residents are limited to 12 overnight parking passes per month for their guests. Residents must accompany guest to register overnight parking. Additional passes may be allowed through property management for specific situations. Additional spaces may be rented privately, available spots are usually posted near the mailboxes. Awesome building complete with all amenities and great concierge! Love the concierge staff in my building. Building management is great as well! Everyone is always super friendly! Fantastic building! Staff is helpful and nice! I merely watend to thank you again for this amazing web site you have designed here. It can be full of useful tips for those who are truly interested in that subject, primarily this very post. You really are all so sweet along with thoughtful of others in addition to the fact that reading the blog posts is a superb delight in my experience. And such a generous present! Tom and I will certainly have fun making use of your recommendations in what we should do in a few weeks. Our record is a distance long which means that your tips will certainly be put to good use.